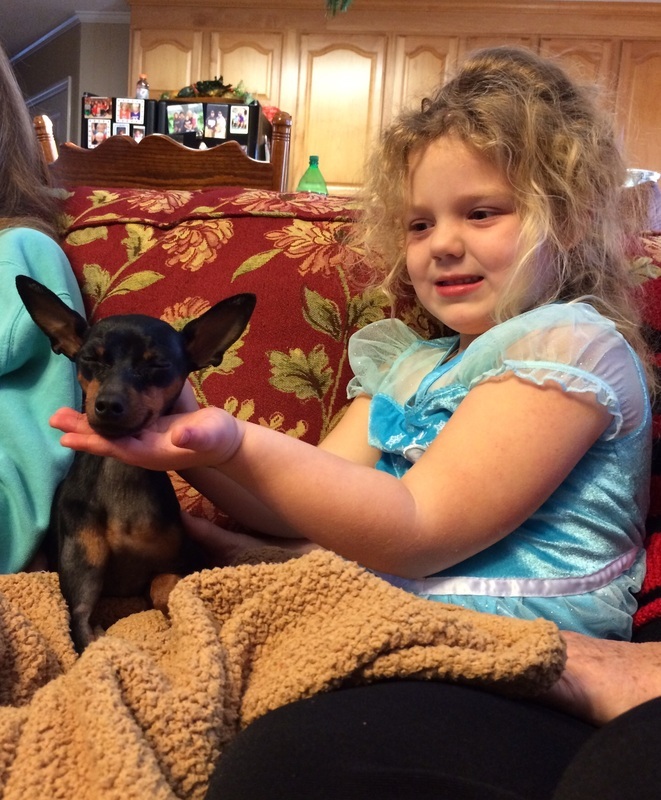 Owner: Will Woodham, Columbus, GA.
CAREing Paws member since 1/10/15. Chace's ideal day is spent outdoors in sunny/warm weather off leash: running, jumping, hopping, sniffing, & playing. The more people/dogs/treats, the better! Chace enjoys his time at Big Bear Canine Activity Center in Pine Mountain, Georgia; He has progressed through CGC, Obedience, Rally O, & his AKC Lure Coursing Title in addition to TDInc. Big thanks to Liz/Kathleen, Daisy, & Melissa! The little guy loves his role as therapy dog; he is good to bring appropriate joy, energy, excitement, and smiles to his clients.